We like plants, especially the unusual ones. My wife and I grow many different bamboos on our 20 acre farm. We also grow a wide variety of cold hardy tropicals, carnivorous plants, and many natives. 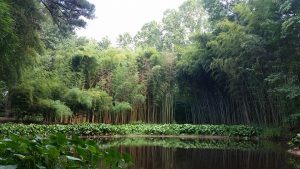 I ran a bamboo nursery for over 25 years that was the first in Alabama. I finally retired in 2015. The website for my nursery was Jmbamboo.com That site is no longer active and has a re-direct to this page. I have moved much of the content from Jmbamboo to Bigplants but still have a ways to go. I am also updating the information and pictures that were already here. Please keep checking back!